Last week I went to Barnes & Noble for some retail therapy. I bought lots of gifts and one for myself. Since I loved Garden Spells I am excited about this one. That looks like a lovely gift for Gage. I hope you enjoy your new book. I’ve read many positive comments about it. 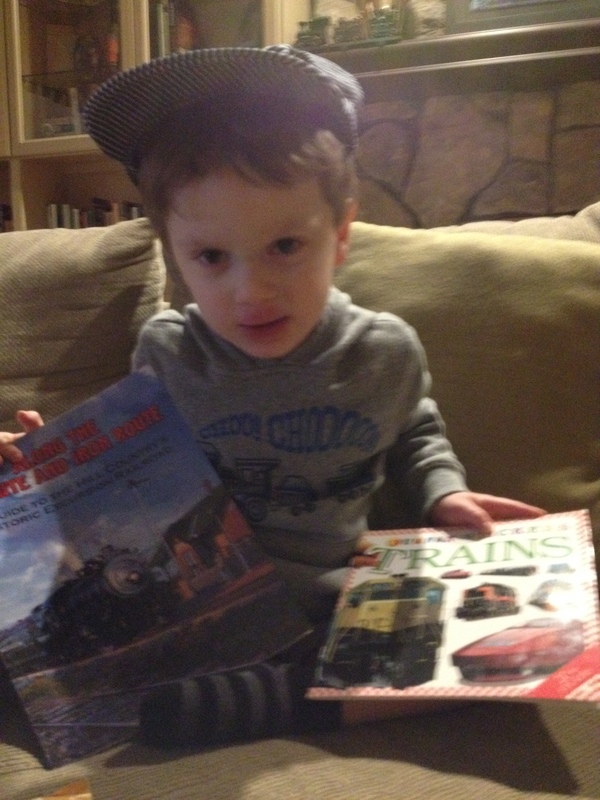 I bet Gage loves getting book mail as much as his mama does. I could go for some retail therapy right about now. Yay! I’m so happy that the hat doesn’t fall below Gage’s eyes! I was afraid it might. Hope he enjoys the books. I had fun finding them and got to visit our local train enthusiasts’ location. Retail therapy is always a plus. Just looking at books makes me calmer. Enjoy you new book! So nice of Kay to gift Gage in that special way! I just love retail therapy, especially at a book store, which I did twice this past month courtesy of my adult son. We had such fun. Glad you picked up a fave book; I’ve read one by her but not the first in that series, and the cover…love it! What a lovely gift. My daughter loves trains too! That was so nice of Kay! I love the hat. 🙂 I hope you enjoy your new book, Stacy! I am doing a Bookish Secret Valentine this year and sent my package out to my Secret Valentine last week. I can’t wait to see what I get! I see so much about this book. ENJOY!! I bet Gage loves his gift. And I hope you enjoy your book. How exciting for Gage! I loved garden Spells too and look forward to this one! I still have to read Garden Spells. It’s one of those books that’s been on my shelf so long I almost forgot and bought it a second time! 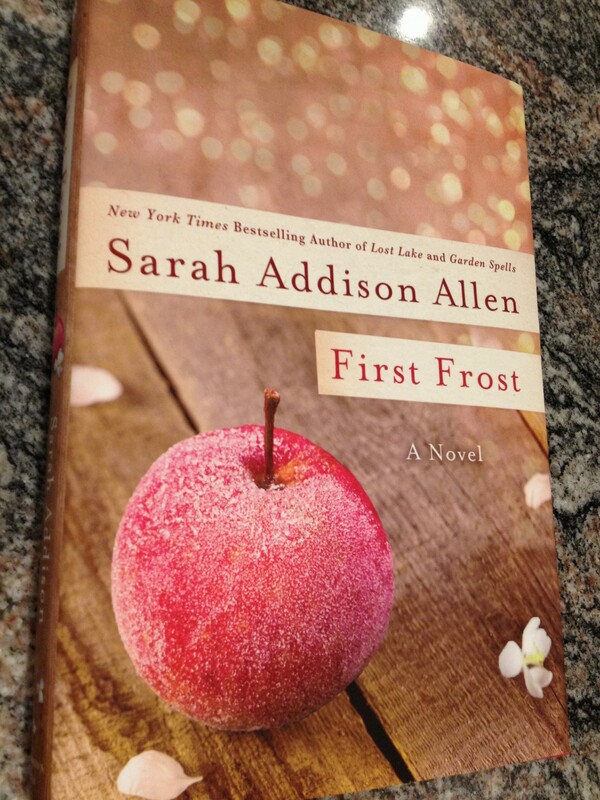 I have First Frost in my kindle and I can’t wait to get to it. And bookstore retail therapy is the best! I know so many people seem to love Sarah Addison Allen’s books. She’s an author I’ve had my eye on for a while now, but haven’t had a chance to get to yet. Eventually… Happy reading!